Will Hughes is the second youngest ever player for England Under 21s, behind Theo Walcott. Will Hughes has reportedly jumped to the top of Liverpool’s agenda and the Reds could make a bid for him before the transfer window closes in less than two weeks time. Liverpool’s chief scout Dave Fallows went to watch Hughes during his impressive performance for the England Under 21 side last week, in which the Young Lions ran out 6-0 winners. 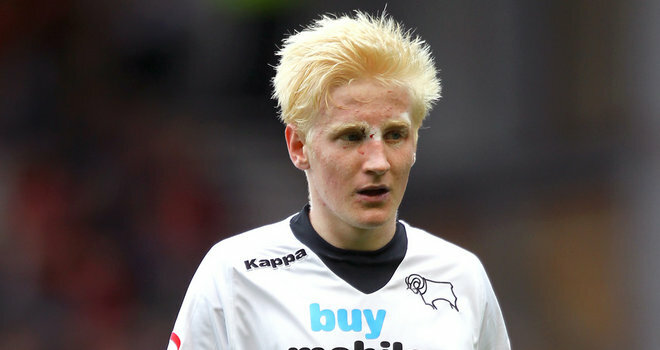 Hughes has played almost 50 times for Derby County and is still only 18-years-old. Many sources have reported that Liverpool will offer £6 million for the midfielder but Derby fans have angrily responded to that speculation, insisting that their prize asset is worth a great deal more. Hughes would become Brendan Rodgers’ fifth acquisition of the transfer window after landing Simon Mignolet, Kolo Toure, Luis Alberton and Iago Aspas. Liverpool won’t move though. They will umm and arr around as usual for a month or two and all they will have achieved is to have some other team snap him up! Actually it would be his 6th signing since he just signed a left back from France.